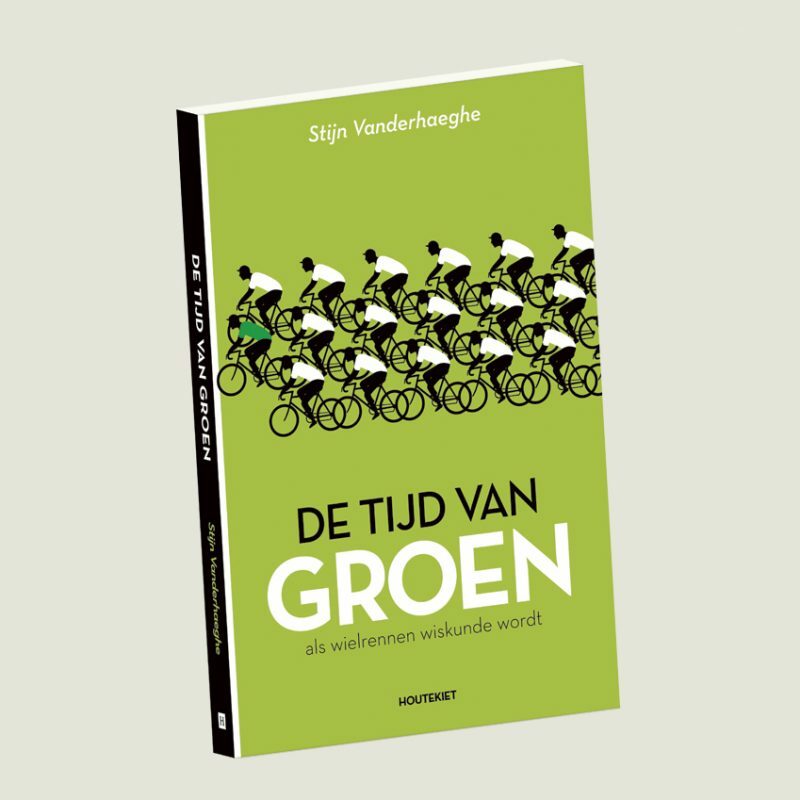 This is a book cover for a book called De Tijd van Groen by Stijn Vanderhaeghe: a book about the 14 Belgian winners of the green jersey in the Tour de France. Since winners of the points competition are usually the best sprinters, I based the design on those typical finish photo’s that are used to define the winner when there is sprinting involved at the finish. The two kinds of green I used are based on the old color and the new color of the jersey.